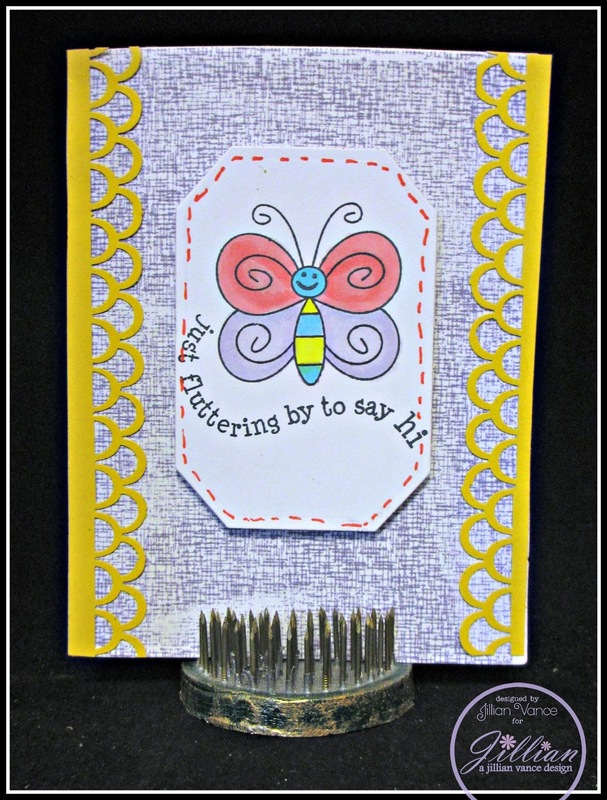 Princess & the Paper presented by A Jillian Vance Design: Just Fluttering By To Say Hi! 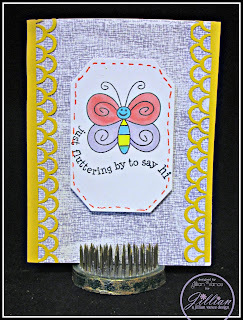 Just Fluttering By To Say Hi! Hey guys! So, today, I made this card! It's not flawless, but I think it's pretty cute. So, I hope you all have a wonderful day! Sweet card. We are all so ready for flowers and butterflys aren't we. I can't wait to dig in the dirt.